If you want to stay in a place that offers complete privacy with no one to bother you (but for wildlife :D), read on. 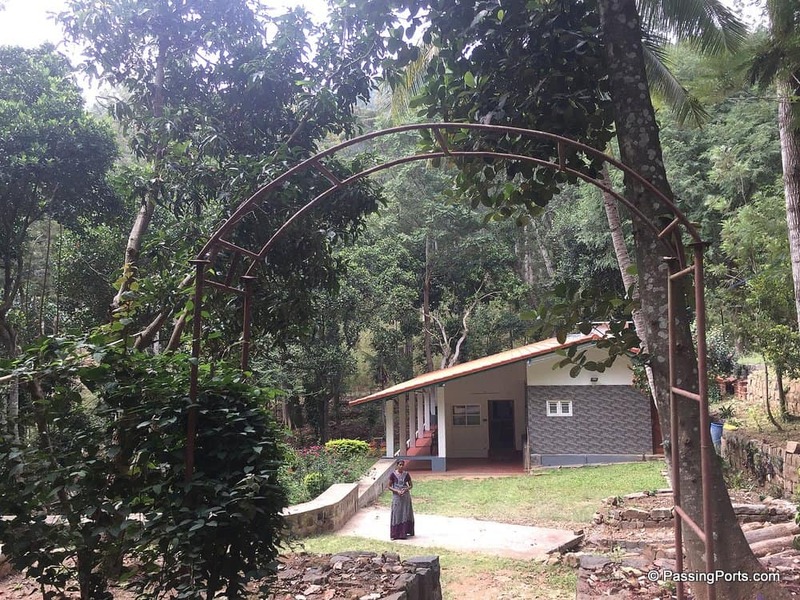 This post is all about an offbeat homestay in Yercaud. Imagine waking up to really tall trees, a small lake and birds chirping, no mobile phone connectivity to check who has messaged you, home cooked breakfast waiting and an amazing weather to make you smile. Aaah, dream come true right?! Living in Chennai, there are not many places for one to pack and leave for the weekend. And when we have to zero in on options, the one place that keeps coming in anyone’s mind is Pondicherry. We were a gang of five girls and two kids who wanted to spend a weekend away from home and celebrate a friend’s birthday. Our main criteria was to have the entire place for ourselves. When we googled to find a place like that, there was nothing close to our liking in Pondicherry, Yelagiri, Yercaud, Coorg etc. We made up our minds to escape from Chennai’s heat and settle in a cool place to unwind and have some fun. 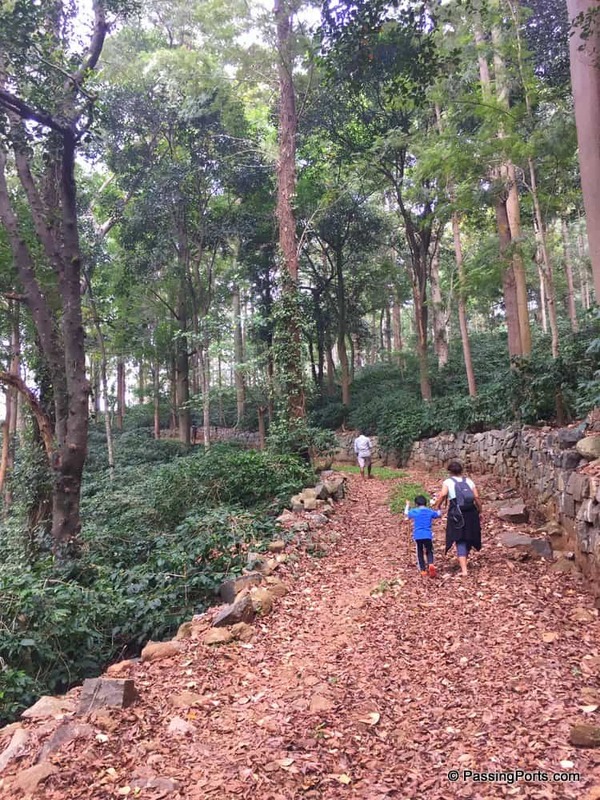 Considering logistics and convenience, we ended up choosing Yercaud. 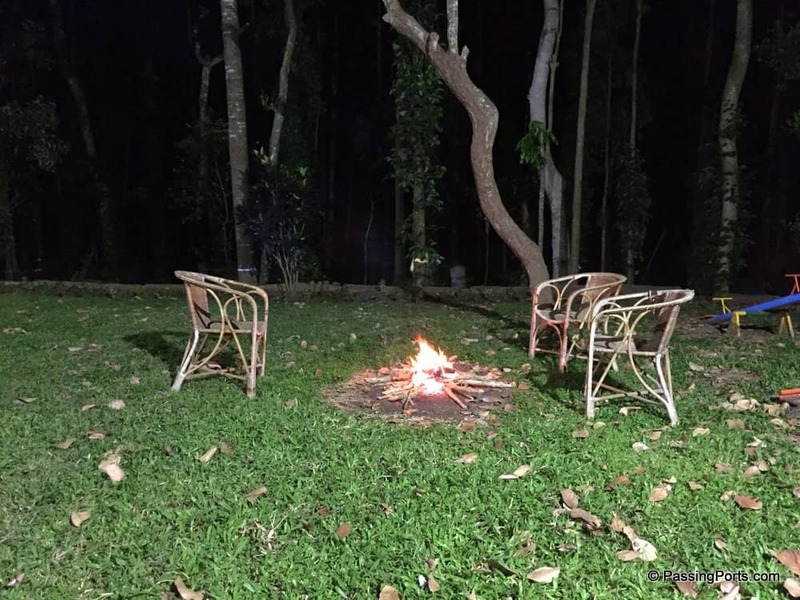 As we were about to book our rooms in the beautiful GRT Nature Trails Sky Rocca property, we found this awesome quaint place completely away from Yercaud Town. This newly renovated property is owned by someone known to us. The good news is that the owners are letting out the property for rent as a homestay. We were the lucky ones to have gone and experienced the property first hand and this place checked almost all our criteria. Also Read: Have you visited Chennai’s lighthouse yet? There are two routes that one can take to reach Yercaud. One is the main route which has about 20 hairpin bends while the other one has hardly about 5-6. The estate comes after the third bend on the latter route, and this route is better as these turns don’t make you feel dizzy. You will find this place nicely nestled within an estate. As you enter, you will find two or three small houses, one huge house with a lawn and loads of open space surrounded by tall trees. There is enough space for at least two cars. Click here to view more photos of the property. Book this bungalow. This homestay has two bedrooms, a living room, a huge dining room and kitchen. The owners have entrusted this property with a couple who take care and manage this place. This family takes real good care when it comes to food and other amenities that one may need. This bungalow is kid friendly. It has a huge play area and your kids (if you have any) will absolutely love you for this. 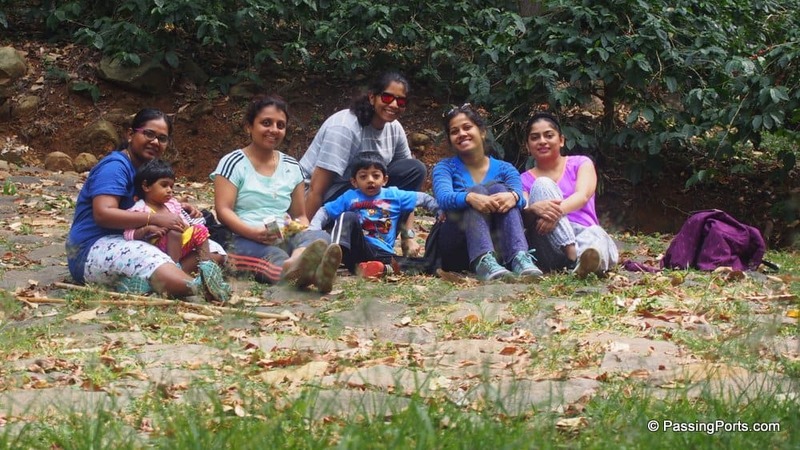 Yercaud is absolutely safe to travel as a bunch of girls, family, couples etc. Early in the morning, you can go trekking around the estate to catch up with fresh air and nice views. You can also go to Yercaud town where you can go boating, visit the gardens and visit viewpoints to get awed by the landscapes. The town is about 30-40 mins drive from the Bungalow. In the evening, you can enjoy the bonfire and have all the fun that you want. The caretakers are always available and make sure you are safe. Go on and plan a weekend at this property to unwind with family and enjoy nature! Use this link to check availability and book your stay at Water Rock Bungalow.